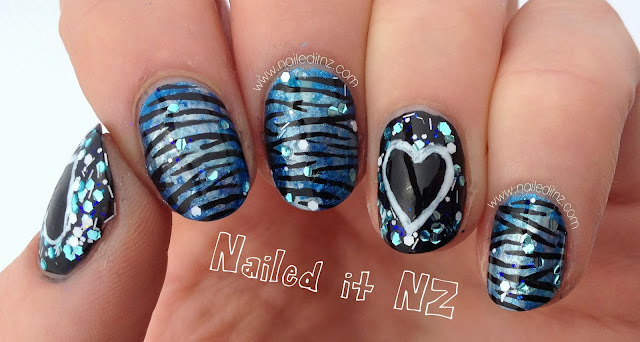 I recently received the most gorgeous blue glitter nail polish from KKCenterHk and I decided to do some nail art with it! I didn't really have a plan for them; I just kept going but thankfully they ended up looking alright! 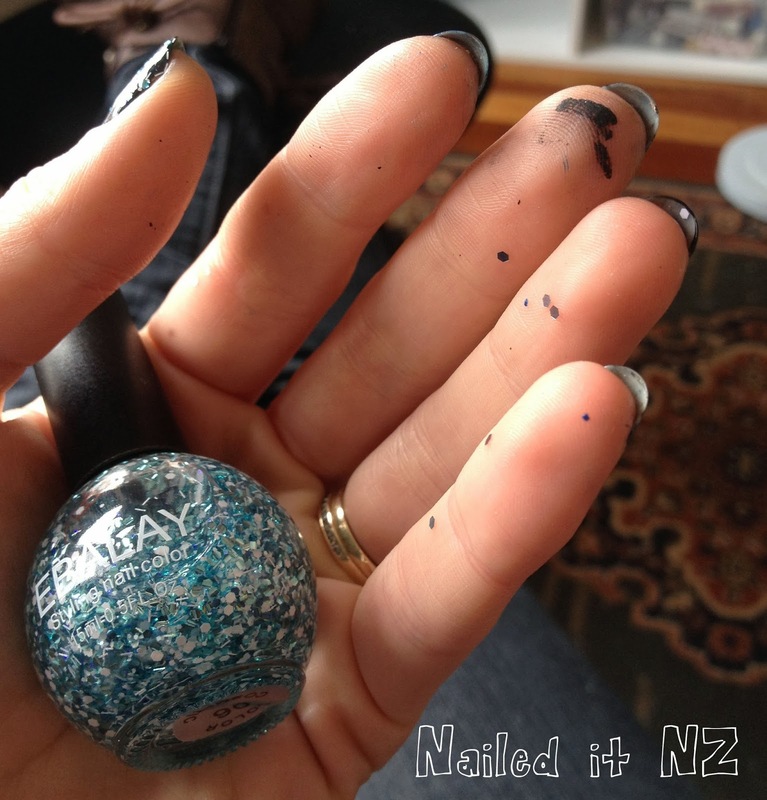 I used two coats of the nail polish (EBALAY Baby Blue) over a black polish on my thumb and ring fingers. Then, being me, I had to add more... 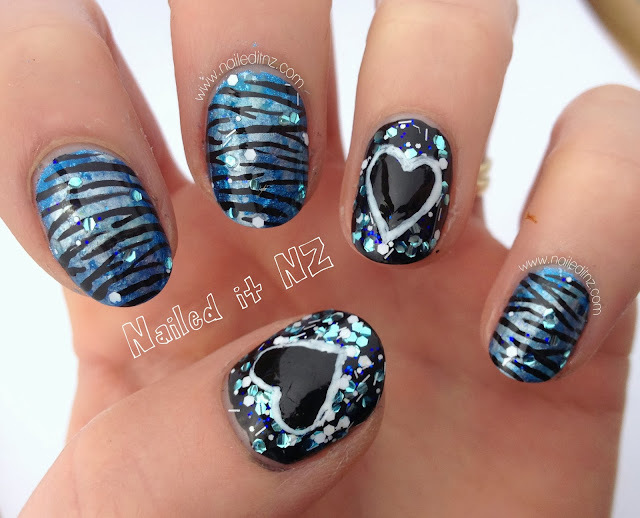 In came the hearts and tiger stripes! I then added a few sparkles to make all the nails link together. 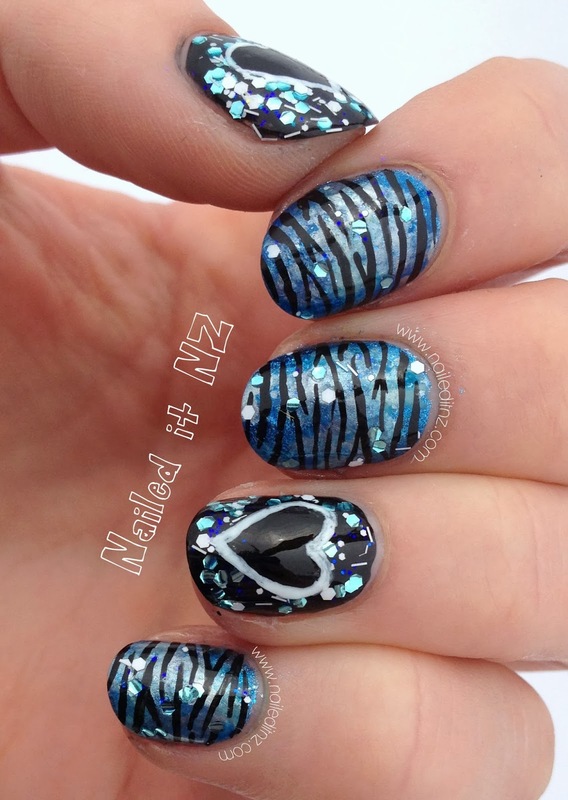 These did take a bit longer than usual because I made the tiger/zebra stripes quite fine, but I think it was worth it! I kept looking at my shiny nails all day :P.
You can buy this nail polish from KKCenterHk here, for $7.82 US. 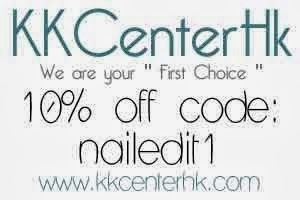 Use my coupon code for a further 10% off. Here are some other handy links about these nail decororations and KKcenterhk! Annnd check out my messy hands -_-.